After successfully completing Rescape California‘s Bay-Friendly Rater Training Course, PGAdesign’s Karen Krolewski and Diana Pink are now eligible to designate qualified landscape projects as Bay-Friendly Rated. In order to obtain the rating, a project must adhere to strict guidelines, and raters are responsible for ensuring compliance with all steps in the rating process. A Bay-Friendly Rating assures property owners and the community at large that the landscapes are healthy and sustainable. 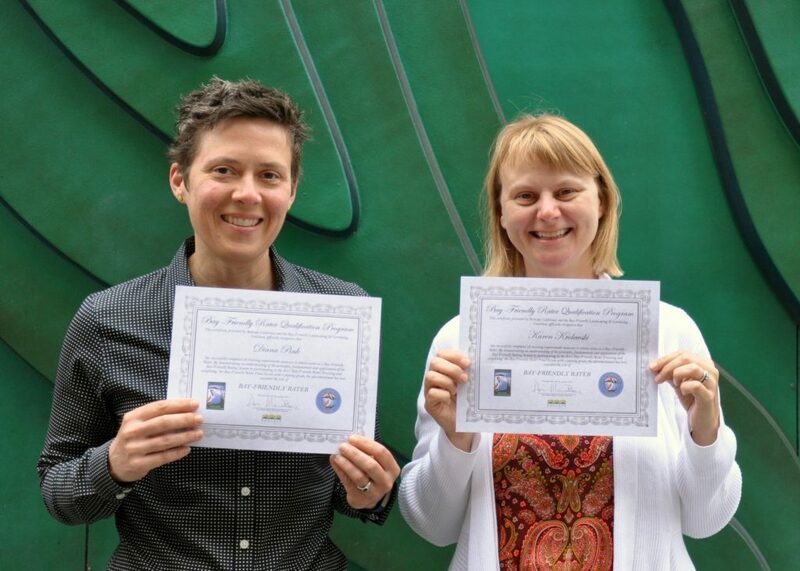 In addition to their role as Bay-Friendly Raters, Karen and Diana are also Bay-Friendly Qualified Landscape Professionals and have completed several Bay-Friendly Rated projects including the Golden Gate Recreation Center and 25th Street Mini Park in Oakland. They are excited to be a part of this program and are available to rate your project!